The 2018 iPad Pro is constructed to Apple's high manufacturing standards, an executive has claimed, in response to a customer query asking about the recent reports some iPad Pro models are shipping with a slightly bent chassis. 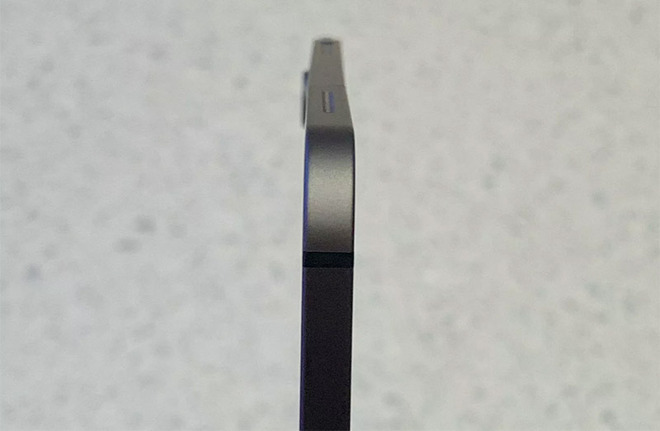 Recent reports about the bends have circulated since the launch of the new iPad Pro range, with a slight curve in the chassis visible in some units supplied to customers. On Wednesday, Apple confirmed the bend is a byproduct of the manufacturing process, specifically from the cooling process affecting the tablet's metal and plastic materials. Apple's statement also indicated that it was not considered a defect in production, and that it was seeing a normal return rate, suggesting users are either not bothered or have not noticed the issue. One customer identified as Craig attempted to contact Apple CEO Tim Cook about the matter, but instead received a response from Apple VP of hardware engineering Dan Riccio. According to the email, provided to Macrumors, Riccio claims the iPad Pro's "unibody design meets or exceeds all of Apple's high quality standards of design and precision manufacturing." "We've carefully engineered it and every part of the manufacturing process is precisely measured and controlled," Riccio asserts. "Our current specification for iPad Pro flatness is up to 400 microns which is even tighter than previous generations," wrote Riccio. "This 400 micron variance is less than half a millimeter (or the width of fewer than four sheets of paper at most) and this level of flatness won't change during normal use over the lifetime of the product." Riccio goes on to note the "slight variations" in question do not "affect the function of the device in any way." The email goes on to advise a company statement was not provided in the original reporting on the matter, and that an official comment would be provided to media outlets. At the time of publication, no comment has been supplied. Photos from an afflicted unit appear that the bending is appearing nearest to the plastic antenna "lines" for the cellular-capable version of the device. While Apple hasn't confirmed if the effect is limited to just LTE models, some Wi-Fi only versions have apparently suffered a similar issue according to social media posts. The affected units arrive already bent from the factory, Apple advised. It is unclear if the bend manifests itself or becomes worse while under typical daily use. AppleInsider has confirmed that there does not appear to be a higher than normal return rate, but recommends inspecting iPad Pro units already in use or waiting to be gifted, and documenting the issue with Apple support if it appears to be bent.